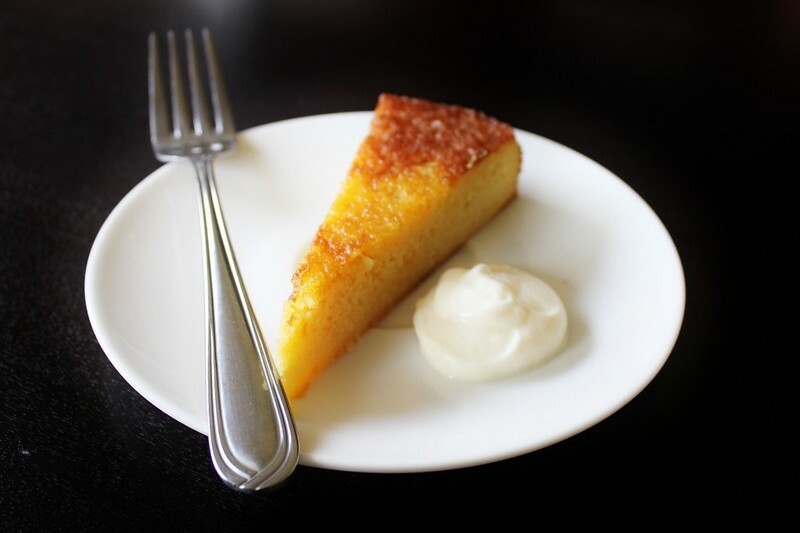 I made this cake for Mothers Day and surprised my mum with a delicious cafe classic, a flourless orange cake. 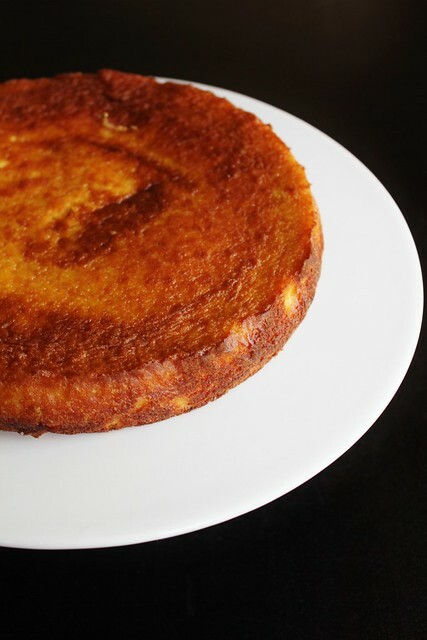 My mum is gluten intolerant and (as I've mentioned in the past) I'm a big fan of Googling for "flourless" cakes rather than gluten free as I tend to find tricky recipes where I don't have all the ingredients. This recipe doesn't have tricky ingredients but it does take a bit of time so it might be best to save it for a day at home. I did some scrapbooking while waiting for the oranges to boil, that passed the time nicely! Wash and scrub oranges before starting then place them in a large pot and fill with water to cover. Bring the oranges to the boil and simmer for 20 minutes. Drain oranges, place them back in the pot and fill with more cold water and repeat the process by bringing to the boil and simmering for another 20 minutes. Drain oranges again, place them back in the pot and fill with more cold water and this time once they have come to a boil keep simmering for one hour. I needed to top up more water about half way through this. Chop cooled oranges into slices and remove flesh (the tasty part) and place in food processor. 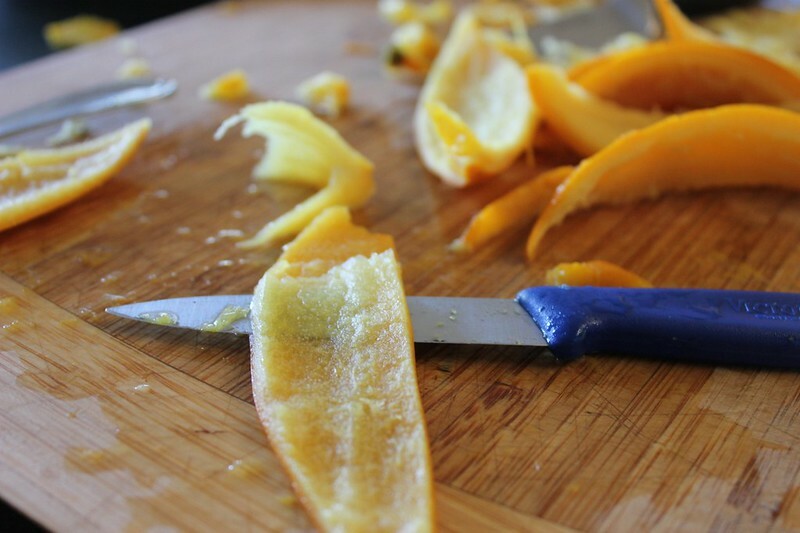 With the leftover peel, gently remove the pith, that’s the white part between the peel and flesh, with a sharp knife. 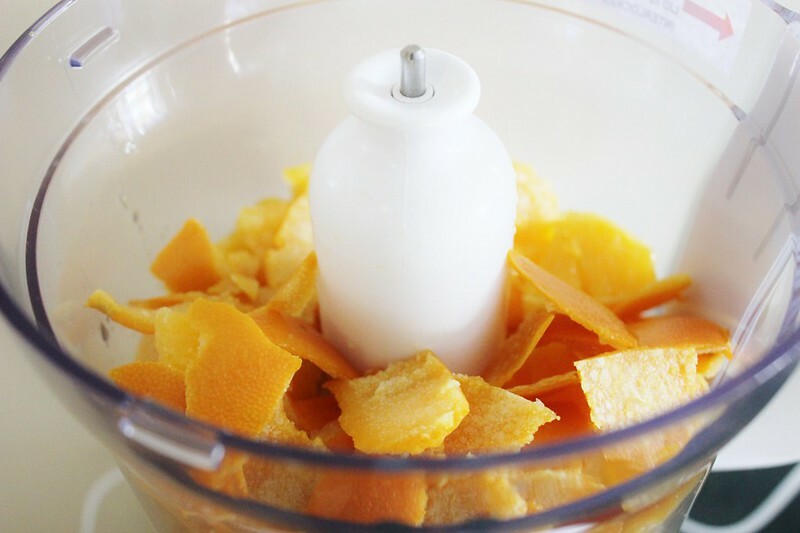 Chop up the orange peel, place in the food processor and process until it is a fine puree. Measure out 1 ¼ cups of puree, mine only made about 1 ½ so I had no use for the tiny left over, if you have more left over you could keep aside for another cake. Preheat oven to 175 degrees C and line a 10” cake tin. Beat eggs, sugar and baking powder until thickened and pale. Add ground almonds and mix well. Add the orange puree in three additions, beating well after each addition. Pour into prepared tin and bake for about 50 minutes to an hour or when skewer comes out clean. Cool in tin for 10 minutes before transferring to a cooling rack. Serve with natural Greek yoghurt and enjoy! Who needs cafes when you have baking like this at home?! 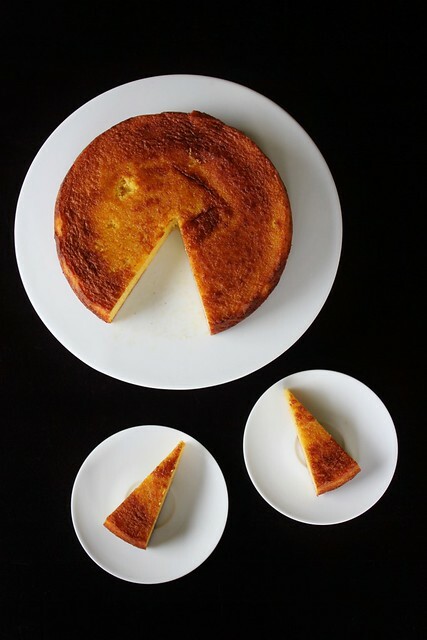 Remember to pair this cake with some delicious natural yoghurt, it makes the world of difference! 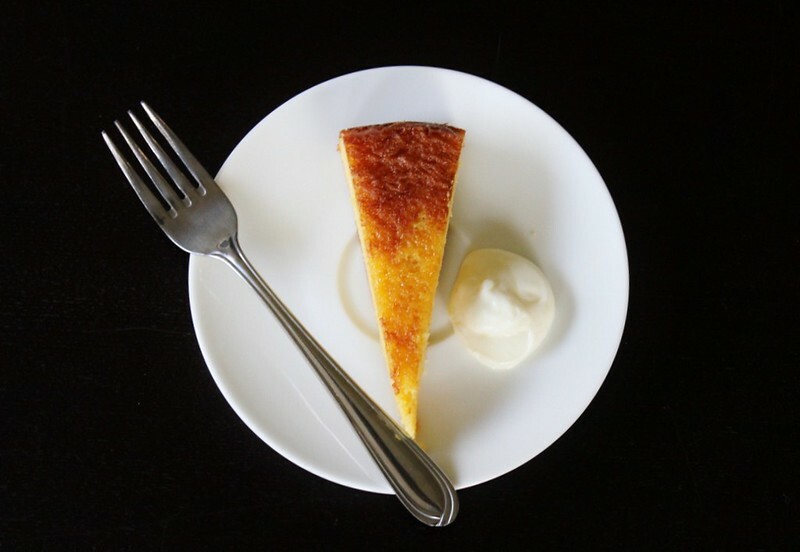 I'm submitting this recipe for this months Sweet NZ hosted by the lovely Kristina of Plum Kitchen. 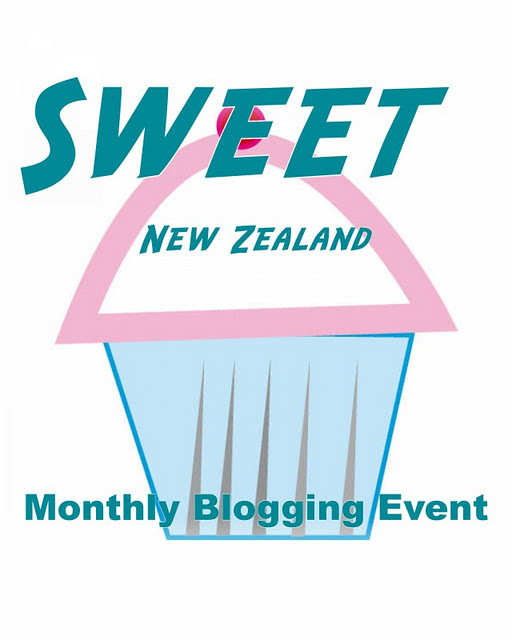 Sweet NZ is a great way for Kiwi bloggers to get to know each other and share some delicious sweet recipes every month. Thank you Mina! That is so kind of you, thanks for visiting my blog! Oh I do hope you like it! We had ours with natural yoghurt and it was amazing! 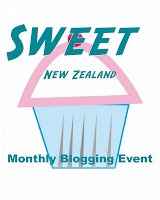 Look forward to seeing all the Sweet NZ entries. Hi Lydia, I found you via Sweet NZ. Boiling oranges sounds like a lot of fun and something a little different! I love pic # 2. Hi Angela! Thank you! I wanted to show exactly how to remove the pith. The smell of boiling oranges in the house is divine, I highly recommend it!